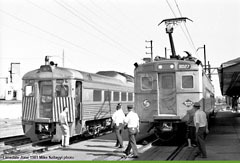 (above) Passengers transfer from single electric car to single RDC, to continue north of Lansdale. June 1981. Click on these six photos for larger views. 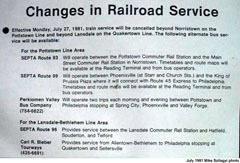 July 26, 1981 was the last day that SEPTA provided commuter rail service between Lansdale and Bethlehem, and between Norristown and Pottsville. 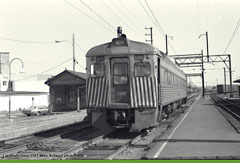 At the time, Reagan-era policy abolished federal operating subsidies for mass transit. Federal funds could still be spent to buy new equipment, but could not be used to run it. 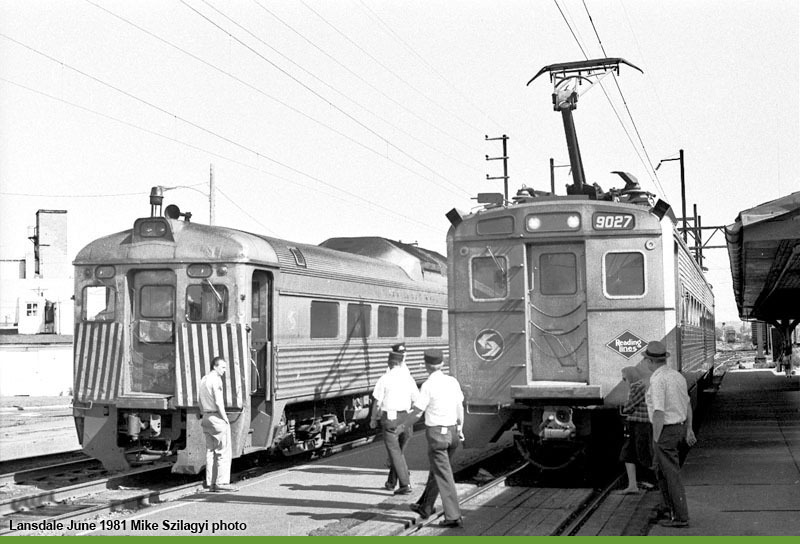 Among the casualties of this policy, were SEPTA's diesel-powered commuter rail lines. 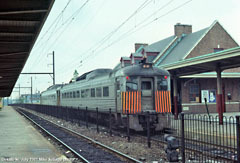 Other SEPTA lines that would be discontinued were the diesel service to Newtown, and the service to Newark, NJ. 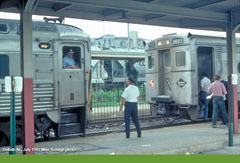 Another factor in the downfall of the diesel commuter lines, was the omission of ventilation fans in the design of the Center City Commuter Tunnel which would open in 1984. 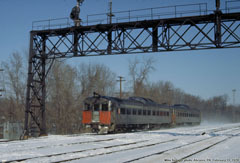 DVARP advocated for the inclusion of ventilation fans that would pull diesel exhaust out of the tunnels and stations, thus enabling continued diesel service. SEPTA refused.